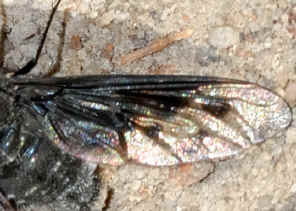 This page contains pictures and information about Anthrax Bee Fly in Tribe Anthracini that we found in the Brisbane area, Queensland, Australia. 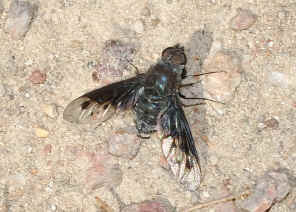 This beefly was found on the footpath in Daisy Hill near Buhot Creek mid summer Dec 2008. 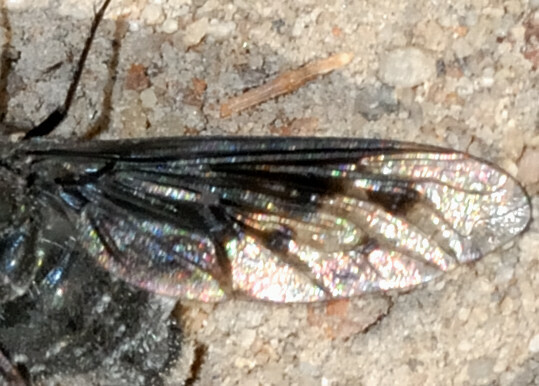 The fly was laying eggs into the sandy soil on ground. 2. 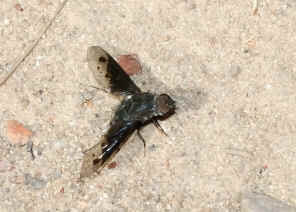 Cryptic species diversity and character congruence: review of the tribe Anthracini (Diptera : Bombyliidae) in Australia - David K. Yeates and Christine L. Lambkin, 1998.